Pendant necklace by Alex Soldier. Snail is one of Alex Soldier's signature pieces; it serves as a reminder to slow down and enjoy life. 18-karat yellow gold and dark platinum. 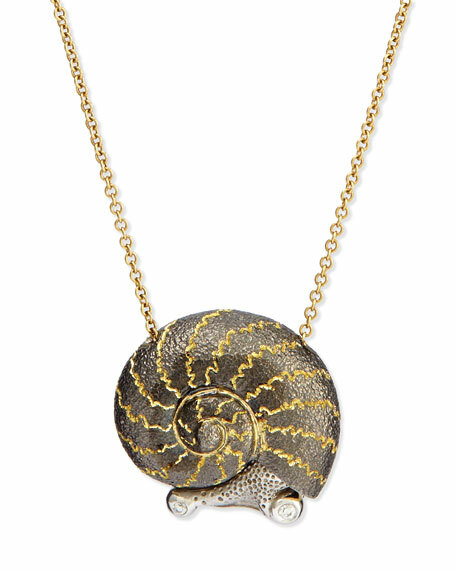 Snail pendant with diamond eyes. Cable chain necklace, approx. 18"L.